I noticed the Downloads section of the One Monk site is down, it gives and error "Not Found"? That may have been down for a while. When the various One Monk files were going into the 'For Sale' categories, I had issues with Download Section, but that was a long time ago. Has it been working up until recently? I think I remember about a month or so ago being able to click on the downloads section and it brought up about a page worth of minis sets to download? I want to say it's where sets like the Pirate Skeletons and 3D Worm model is (if I remember correct)? 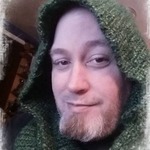 I think that the new owner/admin, "squirmydad" Eric, is updating all the old onemonk's sets and is putting them on RPGNow under "Mayhem in Paper". But I suppose that this is a work in progress because I have downloaded again yesterday the new updated skeletons' sets but they are not yet in the onemonk minis section. if I remember correctly pirate skeletons and 3D worm were in the old hoards. But now I looked and have not seen them in pictures. The Pirate Skeletons, at least, were in the really old hoards - in the MMiP days - MiP_1_Skeleton_Pirates.pdf to be specific. I've downloaded almost all the hoards from that site and One Monk, and am working on cataloguing them. But my first priority (to satisfy my OCD tendencies, and show my gratitude in some small measure) is to catalogue all of Dryw's Imperfect People. It was broken when I got it. I just received all of the old One Monk files an hour ago and tomorrow I'll start work on the website transfer. The downloads section will have the old freebies that you were looking for. Awesome, lol. It's not a problem, I mostly just wasn't sure if anyone knew it was down yet. Also congrats squirmydad on ownership of Onemonk! Thanks, it'll be back. I swear it by Grabthar's hammer! By the Suns of Warvan!